Eskom Board Chairperson, Jabu Mabuza, says Eskom exceeded the permitted amount of diesel usage in open cycle turbines. Mabuza says due to breakdown at power station plants, Eskom has had to use open cycle turbines to supplement power supply. He says The National Energy Regulator of South Africa (Nersa) only allows R600 million in spending on diesel a year, but Eskom has now spent close to R5 billion. This comes as the country endures yet another day of severe stage four load shedding. It’s estimated to cost the economy around R2 billion a day. Mabuza says the diesel turbines were never designed to provide base-load electricity but to only be on standby for emergencies. Mabuza says Eskom will continue with plant maintenance and report back in a few days. Mabuza has also conceded that the lack of maintenance of units at power stations has been the main cause of breakdowns in power supply. He says Eskom has a number of operational and structural challenges that are contributing to the utility’s overall problems. Mabuza says the load shedding comes as a result of reduction in supply while repairs are being done on units. He has admitted that Eskom’s capacity is not meeting the demand. Mabuza and Minister of Public Enterprises, Pravin Gordhan, have addressed the media in Rosebank, north of Johannesburg. 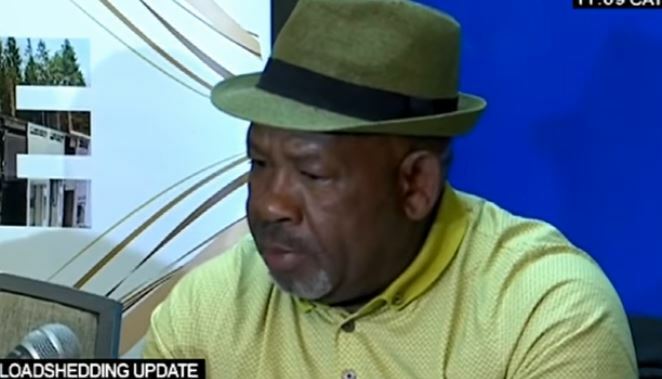 The post Eskom exceeded permitted amount of diesel usage: Jabu Mabuza appeared first on SABC News – Breaking news, special reports, world, business, sport coverage of all South African current events. Africa's news leader..